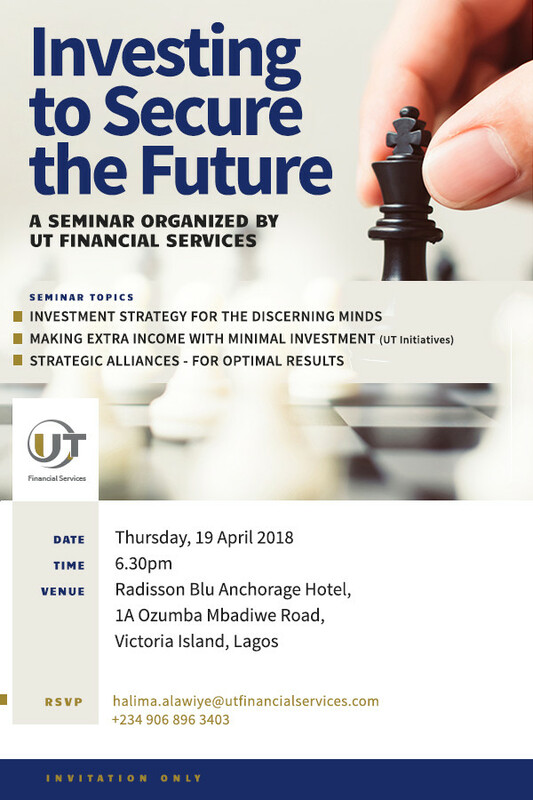 Join seasoned investment experts and other distinguished leaders in the industry for an evening seminar hosted by UT Financial Services on “Investing To Secure The Future”. Venue: The Radisson Blu Anchorage Hotel, 1A Ozumba Mbadiwe Road, Victoria Island, Lagos. We are thrilled to welcome Gary Whitehill as one of our keynote speakers. Gary has been featured in leading publications including Harvard Business Review, The New York Times, Inc Magazine and ThisDay (Nigeria). With Nigeria experiencing unstable times, he strongly believes it is a great avenue to create wealth out of incredible investment opportunities.